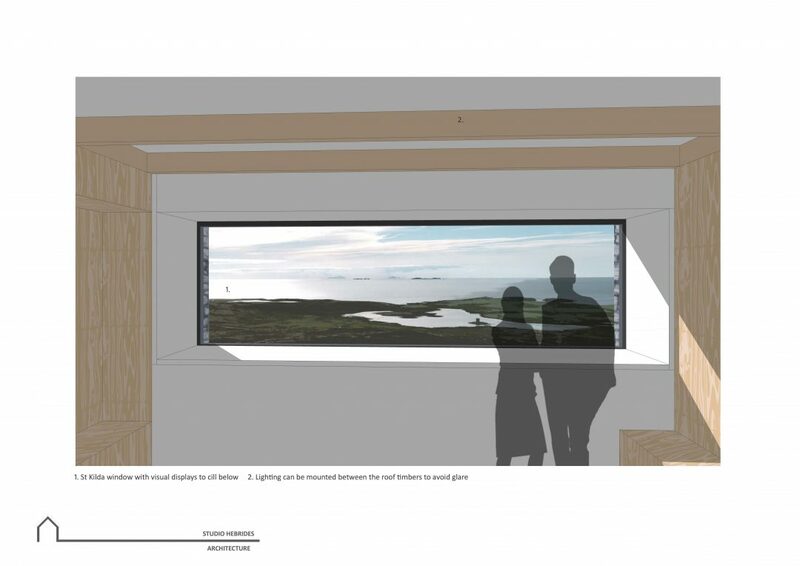 Studio Hebrides was asked to contribute conceptual design ideas for the St Kilda View project. The purpose was to visualise the strategic layout that the Client had and to help generate publicity and excitement around the project. 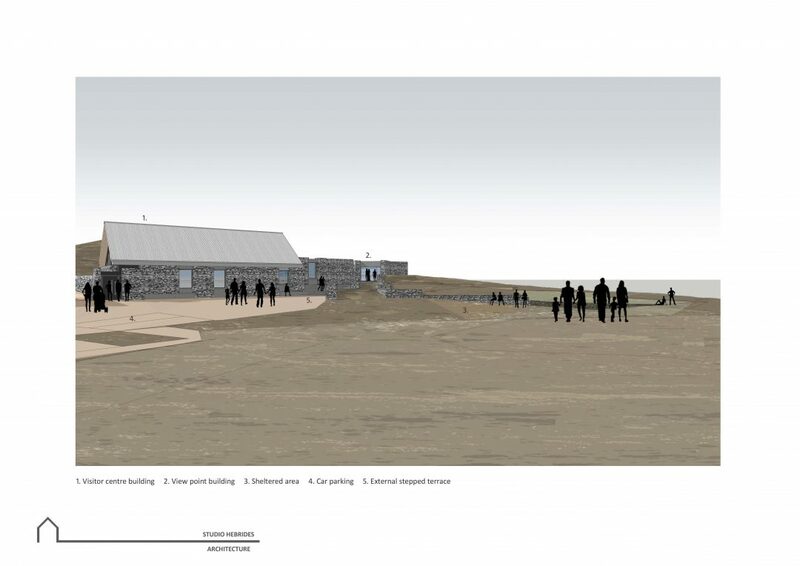 The aim of the project is to create a new visitor centre and viewpoint of St Kilda from North Uist. 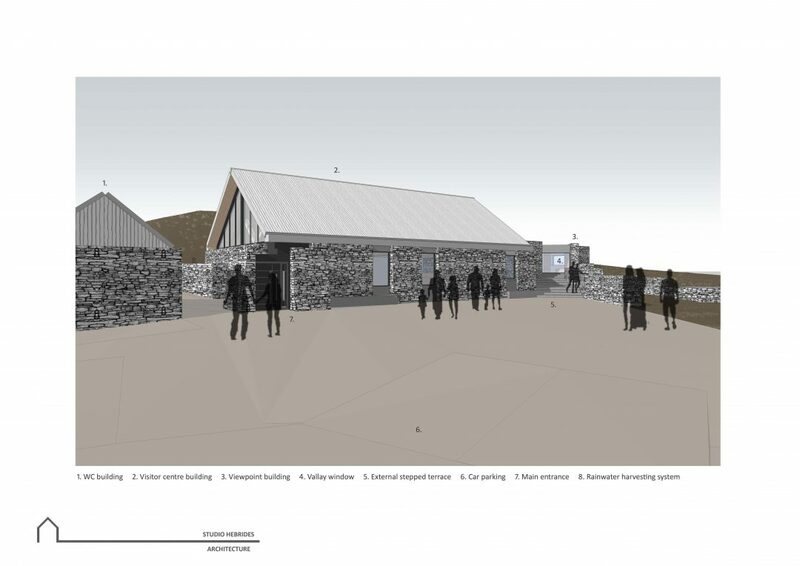 The selected site is tucked into a hillside on the North West coast of North Uist and enjoys panoramic views to St Kilda, the Monarch Isles and to Vallay Island. 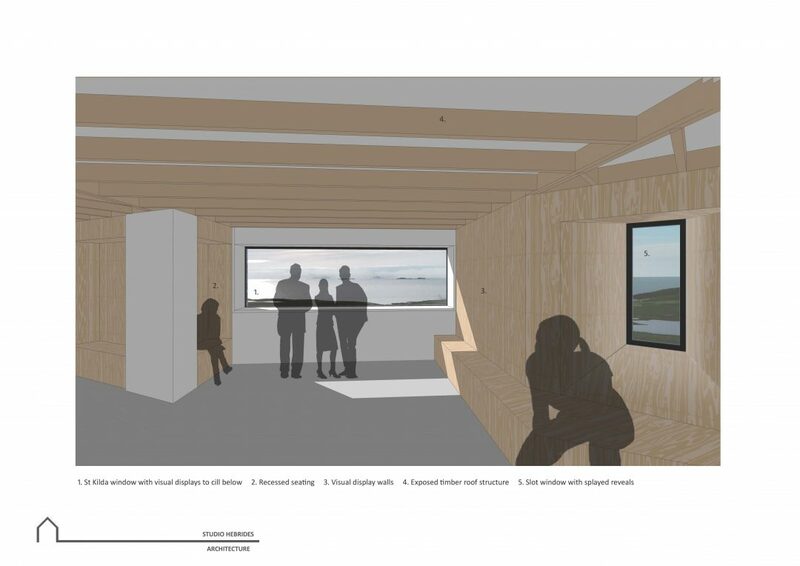 The intent of this concept is to re-create the “sense of place” of St Kilda at the new viewpoint centre. 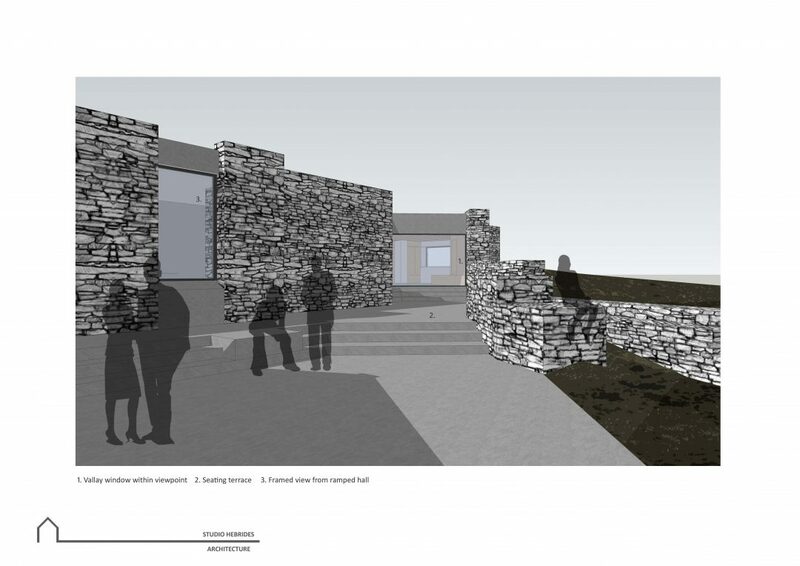 This would be achieved by abstracting the architectural language found there and the new building has the potential, along with the visual displays, to create a real sense of connection to the place(s) even though they are viewed from afar. 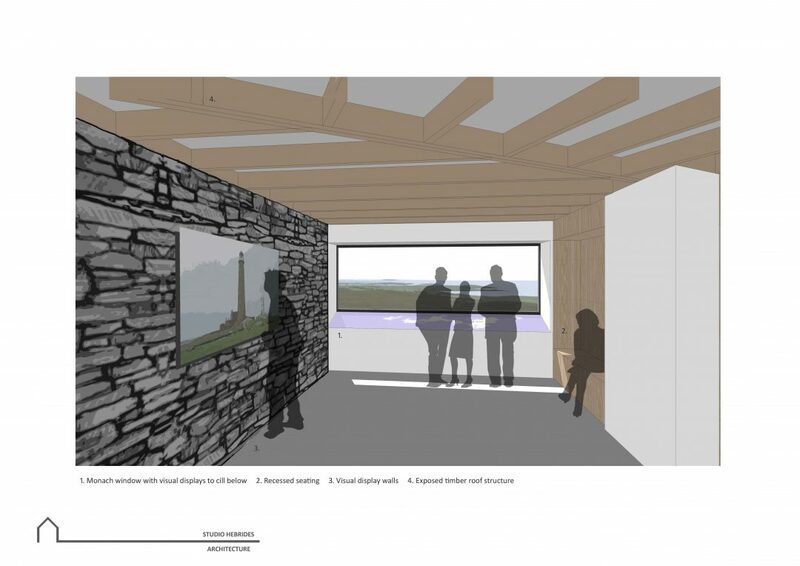 One of the key aspects of the design idea is to frame the subject to heighten the viewing experience. This creates a pleasing dynamic between wall mounted visual displays and the actual views. 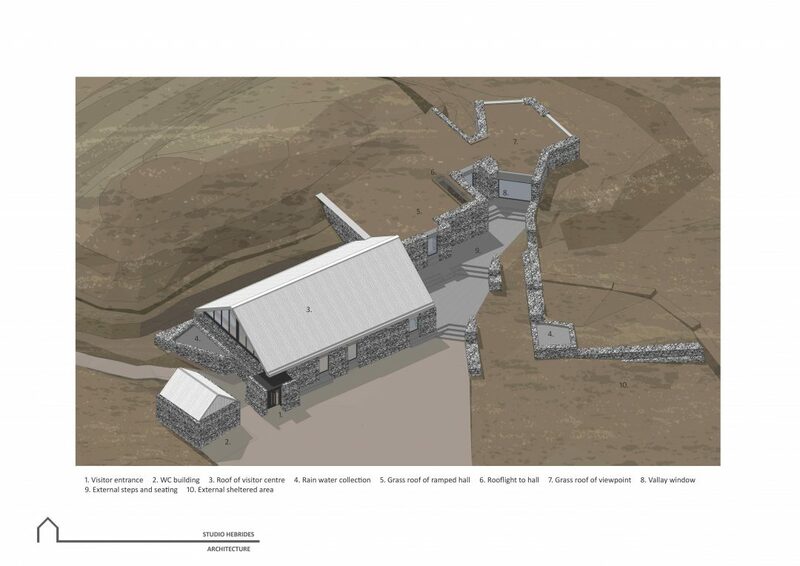 The visitor centre building has been suggested as an open space capable of fitting the various aspects of the project brief. 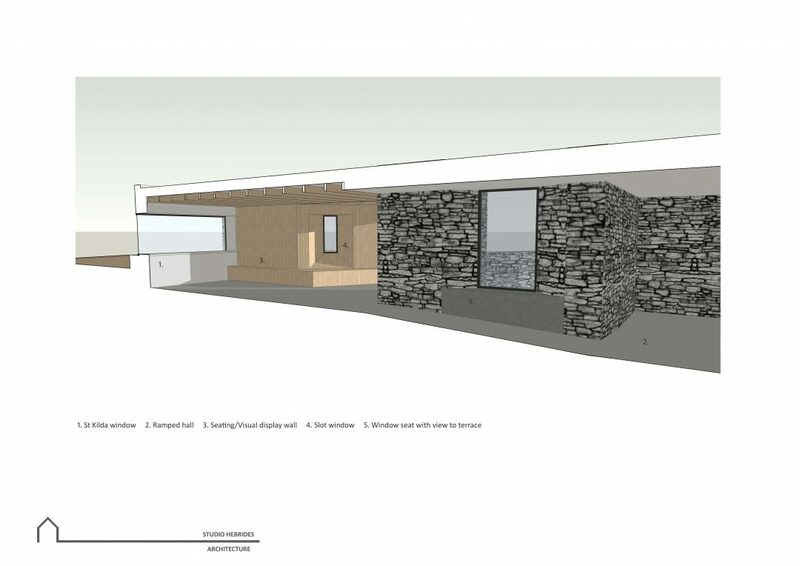 There would be an exposed timber structure to the roof with high level windows to the gable end to allow ample daylight to the space. 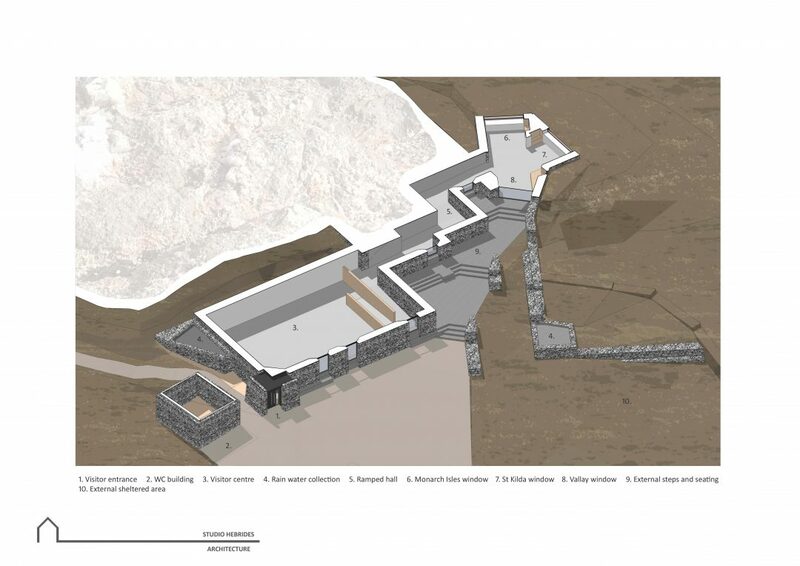 There is a ramped hallway to the viewpoint which creates a sense of drama. 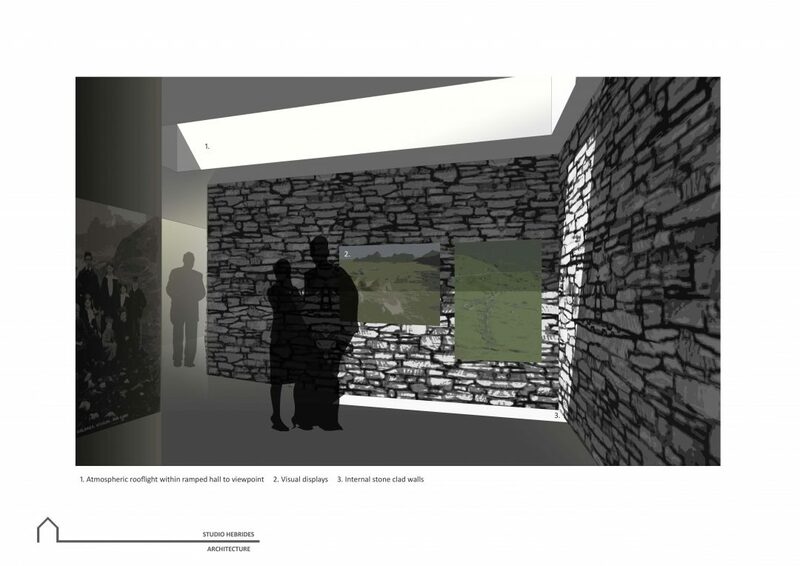 The viewpoint area itself has been proposed to focus the views but offer visitors the opportunity to dwell and reflect on the experience. 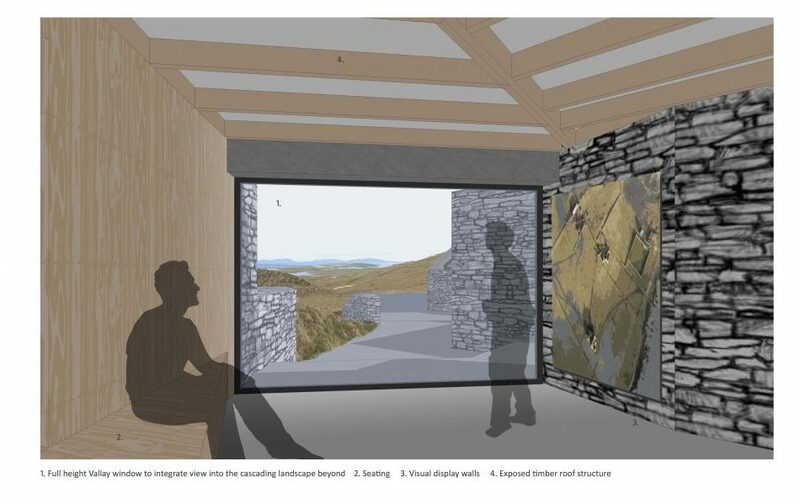 This is achievable by providing seating and displays that are to the side of the main views. The material palette of stone, timber and grass roofing is intended to be complimentary to the concept and be natural and durable but also pleasing and tactile. 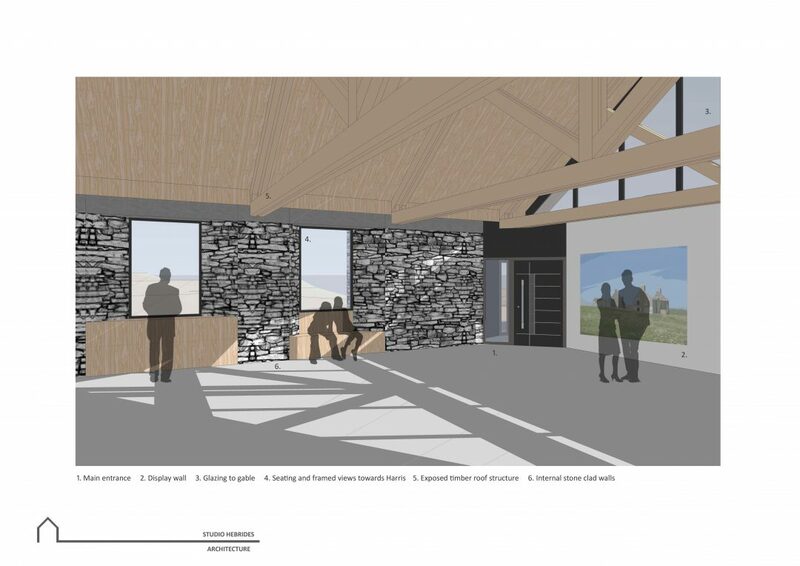 The overall extent of either internal stone, timber or white surfaces can be developed to suit the requirements of the different visual displays.